In our business, I have the privilege of trying a good variety of supplements. 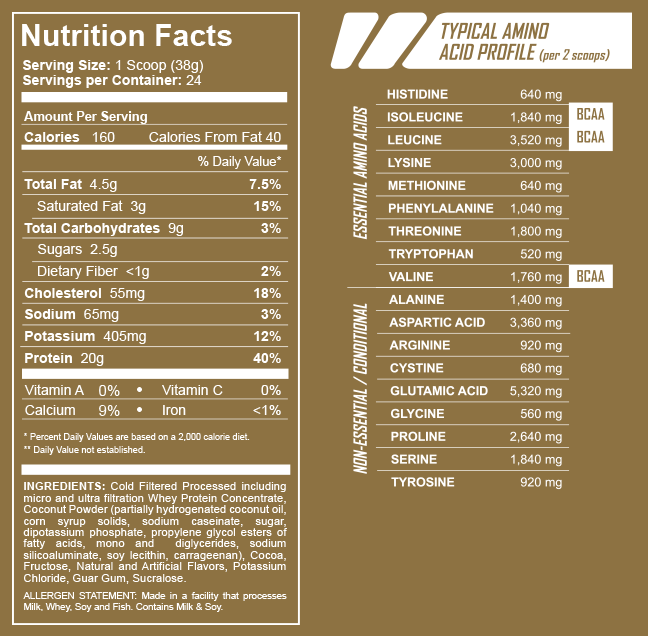 The latest product I got to try is Tasty Whey by Adaptogen Science. This was a new product to me, and quite frankly, I was a little skeptical. First, I normally get vanilla protein and this was chocolate. With vanilla (I thought), I could add fruit or other things in it to dress it up if it doesn’t taste good. At least that is what I realized was behind my line of thinking about trying a new product. So after a good long run, I went straight to the kitchen to put the protein powder to the test. I broke the seal and opened the container, still thinking of what I could put in it to make it taste good. But before I committed to adding anything, I decided to just make it with Unsweetened Vanilla Almond Milk and maybe some peanut butter, and try it first. THEN, if it needed dressing up, at least I had given it a shot pretty plain. Low and behold, after just blending 1 scoop of powder (20g protein) with the almond milk, it was perfectly sweet and really yummy. With other protein powders, I often add sugar-free jello mix, stevia, PB2 or other things in it to make it more palatable. This protein needed nothing. I grabbed the container to see what all was in it and read the name ‘Tasty WHEY‘. “OOOOOoooh! I get it! That’s why they call itTasty WHEY! It is truly a tasty whey protein powder!” Yes, I know! I am slow sometimes! When I opened the product, I didn’t realize the name was Tasty Whey. I just saw “Adaptogen”. Then again, I probably wouldn’t believed them anyway because everyone claims to have a tasty product (but many of them are either lying or they have bad tastebuds! This protein truly was very tasty! I could easily drink this stuff alone (and I’m picky). I already had the peanut butter out, so I do confess I added a tab but that was because I wanted to boost my fat since I wasn’t going to eat for a while. Needless to say, I sucked it down in a jiffy! The next question I have is whether or not it was a quality protein. I mean, normally speaking, most things that are yummy might not be as healthy. I was happy to see that Adaptogen provides exceptional nutrition. It promotes peak wellness by use of a combination of exceptionally high quality whey protein, along with fat burning MCTs (medium chain triglycerides – learn more about MCTs here), low glycemic index carbohydrates, and micronutrients AND with an AWESOME taste too! It is a little higher in calories than the one I normally use, but after I added all the calories from the extra stuff I put in it, it really came out to be about the same. I also like that it has some fat in it. This will help it stick with me longer. 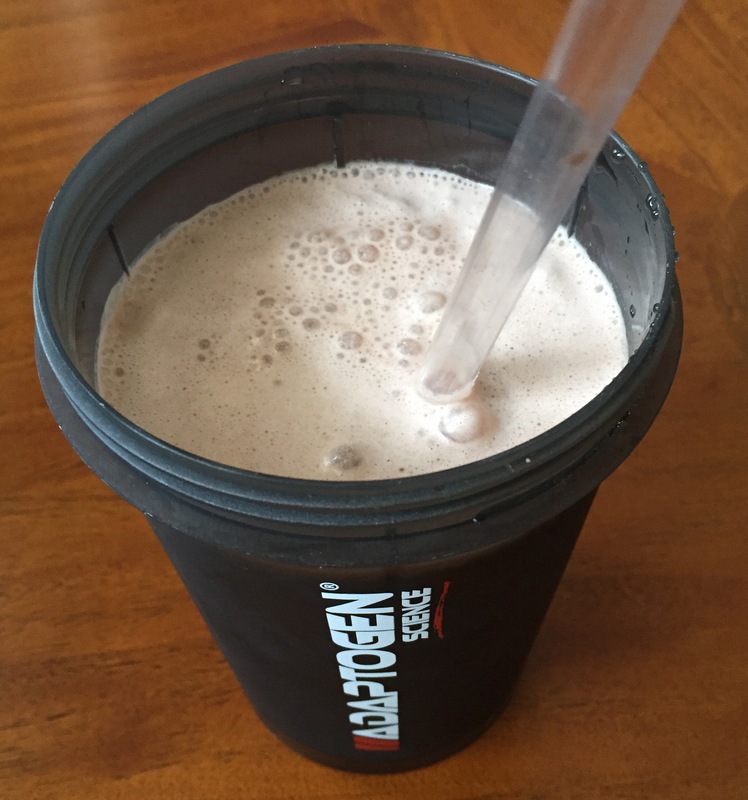 The milkshake flavor would also make this a great shake for someone who has kids or older adults who need to supplement but are reluctant to drink protein because they haven’t liked the taste of other brands. 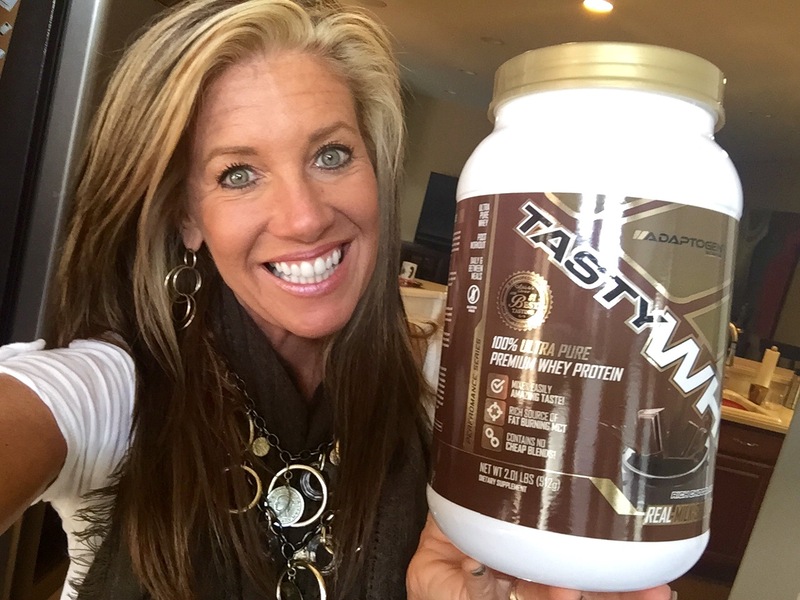 All in all – Tasty WHEY offers a quality product AND quality taste. OK. I admit it. I’m impressed. 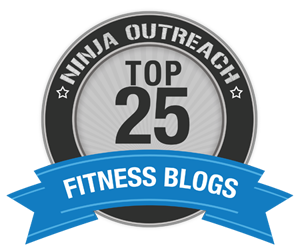 This post is sponsored by FitFluential on behalf of Adaptogen Science.